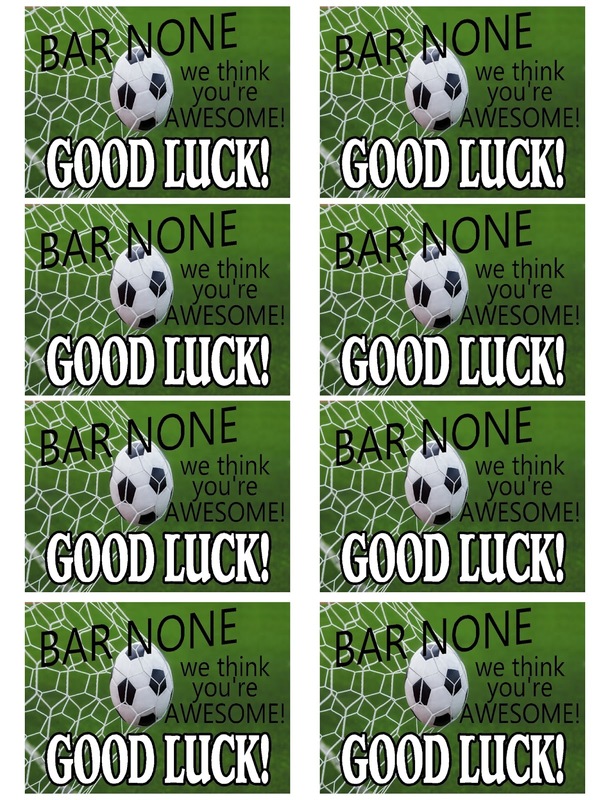 Wish your Soccer Team good luck with this team treat printable. 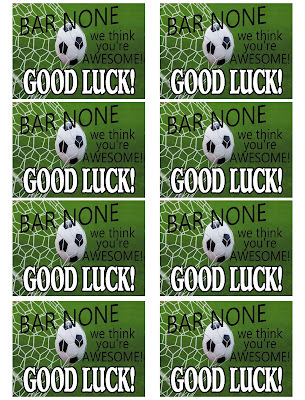 These tags work great on granola bars and read "Bar None we think you're awesome! Good Luck!" They are great for pre-game treats or rooting during half time. Our soccer season is starting to wind down. We only have a month left in our spring season and a few more games left to play and enjoy. Awesomely, we are number 1 in our district right now and the excitement is running high. I can't definitely say this is so, but I'm sure my yummy team treats before each game has definitely helped raise us to our #1 status. Okay, maybe not, but it has been fun to make these and cheer the boys on each week. This week's treat is a Granola Bar with a fun tag attached. The granola bars are relatively cheap and you can get a box of 24 at Walmart for about $5.00. 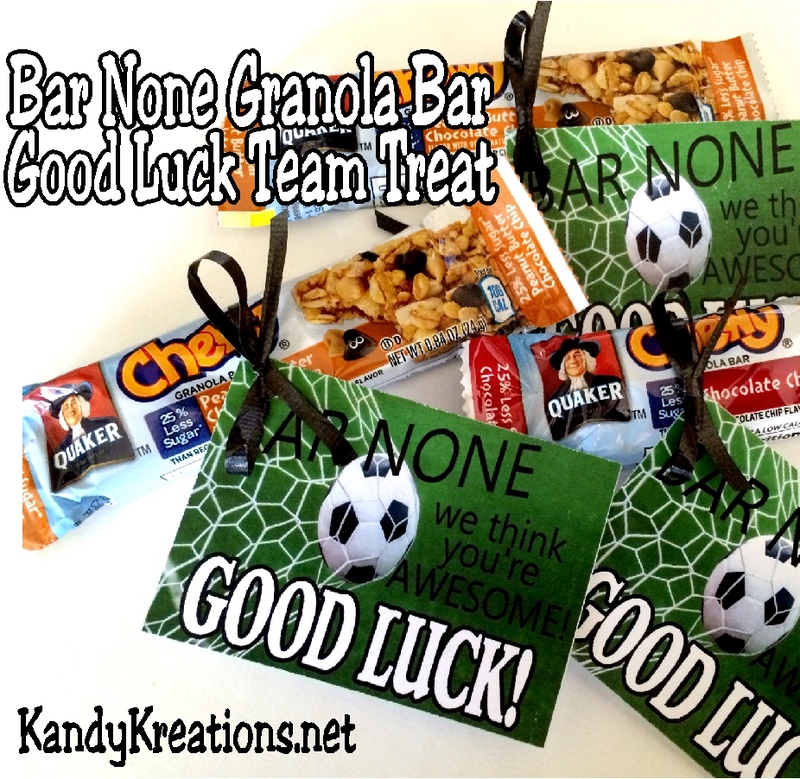 Unless you have a super big team, that should cover your for your team treat this week. Here's the free printable. Simply right click and save the tags to your computer and print out on to card stock. Cut around the tags and hole punch a corner. 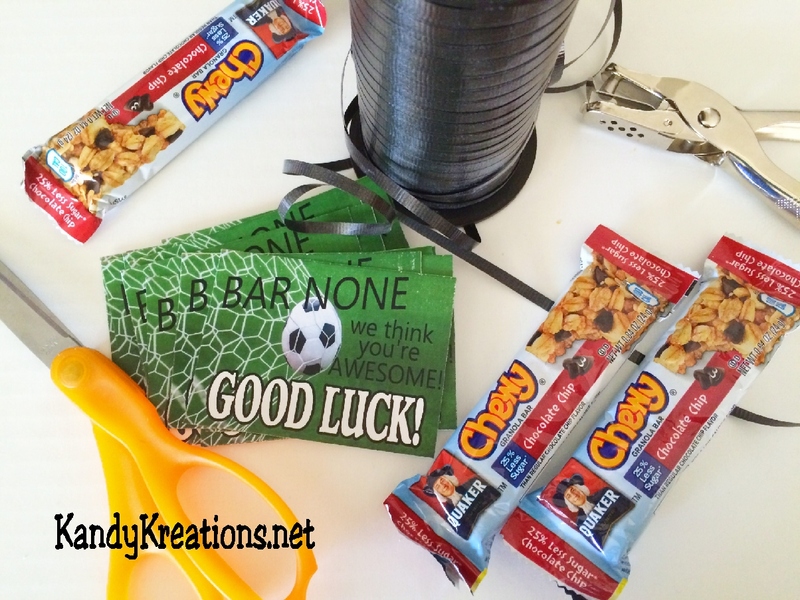 Then tie the tag on to your granola bars and watch your soccer team gobble up the treats and spit out the goals! 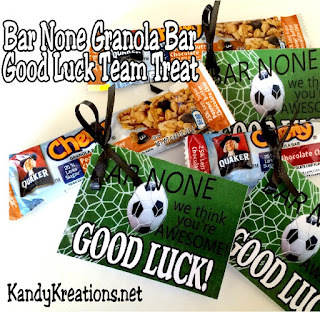 Don't miss all the team treat printables in this series! Click here to see them and our other free printables.